It's a lot of work to sell a house. Don't waste time with the wrong agent. I have the skills and experience to get your home in California sold quickly. Regardless of the property, no house can sell itself these days. 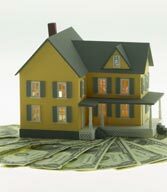 Putting your transaction in the wrong hands makes selling your house a nightmare. Look for an agent dedicated to selling your home and garnering the best offer for you. Using my resources at Morris Williams Realty, I promise to deliver a first-class selling experience! I’ll promote your home as a top priority, promising it gets the exposure it commands in all available portals, even nationally. Within hours, I can have your house on every agent’s radar in California. Your home will be in top condition for Open House events in California. I'm there when you need me — on the go, by phone, and even through text message. You're my top priority and my schedule and values display it. In short - I am here to help and will go to any length to do so. As a top real estate professional in California, I'll strive to get the best price for your home and get it sold quickly. It's easy to grab a random agent, but deciding on the right agent takes a little time. Thank you for visiting my web site. If I can be of help to you or your family and friends please let know. For questions, please use this link. A quick E-Mail to RussLoopRE@gmail.com or phone call to 916 276-3201 will do the trick.